I’m currently working on the rough draft of my next American Romance novel set in Hope, Montana. Writing one book in a particular setting isn’t too hard. The second also isn’t much of a challenge, but by the time I get to the third, I’m going to be glad I did this map! First of all, certain locations are going to be needed repeatedly, like food stores, the ice cream shop, the police station… And if you have these places hopping around, being across from the bank in one book and on the edge of town in another, things start to fall apart pretty quickly. 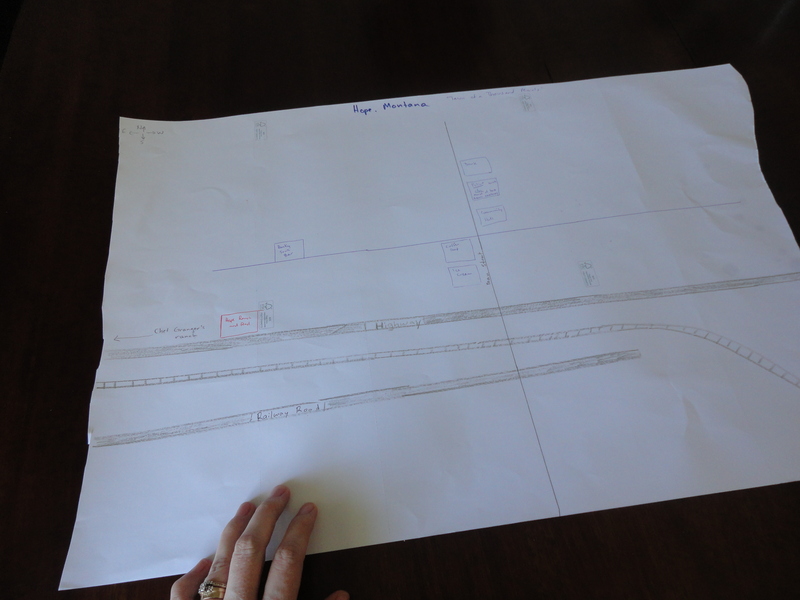 This map might not be fancy, but it’s going to be a lifesaver! I also have a collection of Hope, Montana facts that I keep adding to. It’s important to know not only where things are, but who owns what shop and their histories. Townspeople make a place more real, and if I can revisit certain characters, it’ll just be fun! But this author needs to have it all written down for a quick refresher. And that’s what I’m up to! Writing. Mapping. It’s a great life!